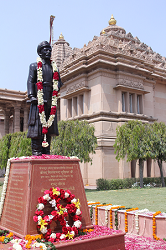 JAINA Newsletter:MJK Celebrations at Jain Centers,Installation of Shri VRG in Delhi, Jain Festivals. Hope you all had a wonderful Mahavir Janma Kalyanak celebration at your Jain center and tapavis are in sukh-sata. Prime Minister of the United Kingdom sent her Best Wishes on Mahavir Jayanti to Jain community of Britain. See the Prime Minister’s message below. The installation and unveiling ceremony of life size statue of Shri Virchand Raghavji Gandhi, the learned Scholar and Thinker of Jain Sangh, was held in Delhi on 1st April 2018. 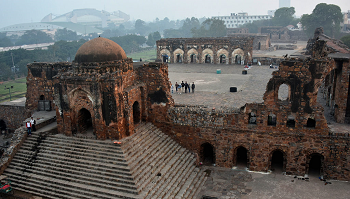 We included very interesting story from King Ashoka’s time about Jain history of over 2200 year old Jain Monument in Feroz Shah Kotla Fort in Delhi. The sadhaka (one who practices spiritual discipline) speaks words that are measured and beneficial to all living beings. Q 1: How many paryapties do the four-sensed Jivas have? Q 2: How many prans do the four-sensed Jivas have? 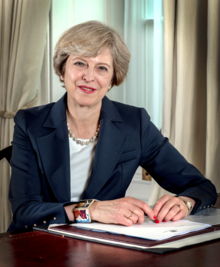 Prime Minister of the UK, Theresa May, sent following message on Mahavir Jayanti 2018 to Jain community of Britain. "It is with great pleasure that I send my very best wishes to Jain community of UK to mark Mahavir Jayanti. I know that this is very important festival for Jains, as you come together to celebrate the birth of Mahavira. The Jain communities of Britain have brought much to this country. The fundamental principles of Jainism, including Ahimsa and respect to all, are well recognized, and are as important as ever. I would like to thank the Jain community for all you do in encouraging peace and harmony in our society. Happy Mahavir Jayanti". In the middle of Old Delhi and New Delhi stands a monument over 2,200 years old, representing a unique piece of history for Jains. Most Jains are unaware of its existence, let alone know its relevance in their history. The installation and unveiling ceremony of life size statue of Shri Virchand Raghavji Gandhi, the learned Scholar and Thinker of Jain Sangh, was held at 11AM on Sunday, 1st April 2018. The Ceremony was held at the premises of Shri Vallabh Smarak in Delhi, under the inspiring holy auspices of Param Pujya Acharya Shri Vijay Nityanand Surishwarji Maharaj. Though people know very little about Shri Virchandji, but in a short age span of 37 years, he had done tremendous work. He wrote 8 books and delivered 535 lectures on varied subjects like religion, commerce and real estate, which by all means is not a lesser achievement. He had represented Jain religion and Indian Culture in the first World religious parliament held in USA in the year 1893. 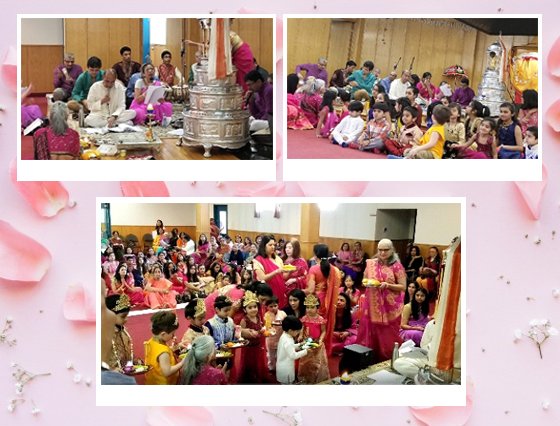 Jain Society of Ottawa Carleton celebrated Mahavir Jayanti on April 1, 2018 at Hindu Temple in Ottawa. The celebration started with the recitation of Navkar Mantra by little children. The program included Stavans, Parnu, Dandiya Raas and Pooja. It concluded with Aarti, Mangal Divo, and Visarjan. Highlights of the program were a dance by young girls set to devotional music and a very exciting presentation on the recently concluded Maha Mastakabhishek of Bahubali Pratima in Sravanbelgola, Karnatak, India. The program was followed by Swamivatsalya. There were about 400 people in attendance, approx 100 were members of the Jain families and the rest were invited guests. 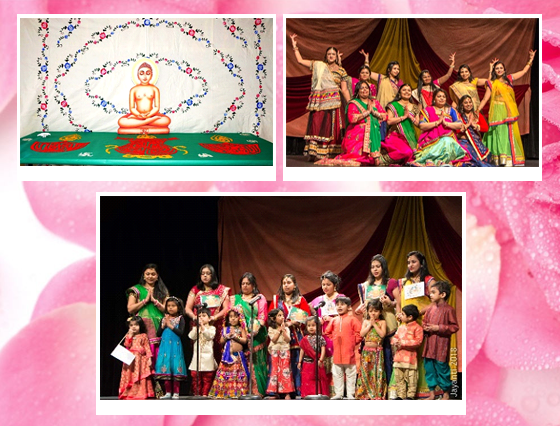 Jain Center of Connecticut had an amazing start to Mahavir Jayanti 2018 program. For being a very small community, JCC had around 150 people that attended the celebrations. Level 1 kids marched onto the stage with their Moms and recited the Navkar Mantra, Chattari Mangalam along with Logas and Uvasagram. Skits were presented representing Humility subdues Ego, along with dances and also presented a very thoughtful and thought provoking debate on “Ahimsa and the role of Plant-based Foods”. Kids were proud of all the presentations while their parents were proud of their kid's growing knowledge. The adults who danced were simply glad that they could continue to stand after a grueling dance number. Everyone was glad to head onto the swamivatsalya and nourish themselves to some delectable vegan dinner. Generally, festivals are celebrations and jubilations characterized by excitement, enthusiasm, enjoyments and entertainments; but the Jain festivals are characterized by renunciation, austerities, study of the scriptures, repetition of holy hymns, meditation, and expressing devotion for the Paramatma. Even those people who are caught in the meshes of mundane life, according to their ability and conveniences, get free from the worldly entanglements to the extent possible and become immersed in worship and meditation Renunciation and austerity constitute the very foundation of the Jain Dharma. Let’s learn about Jain festivals and stories behind it. This time we will learn about five Jain festivals, Paryushan Mahaparva, Navpad Oli, Mahavir Janma Kalyanak, Diwali and Bhai Beej, and rest in next newsletter.